And scorn not the strains of his old withered hands. In raising the merry strains of his dear native land. Though four score and three years have flew by them! 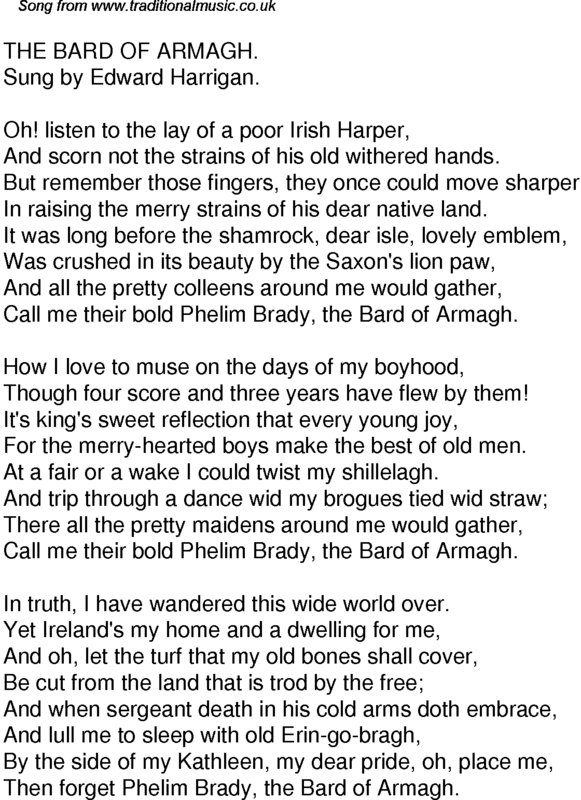 At a fair or a wake I could twist my shillelagh. In truth, I have wandered this wide world over.